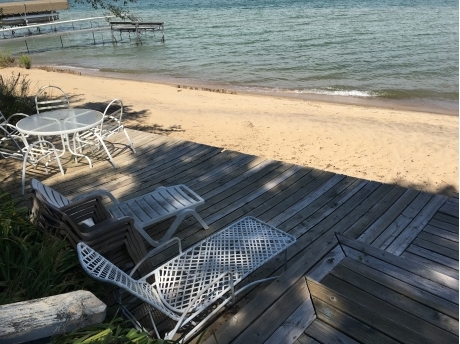 Caseville Lakefront Homes. The Grand View 1200 sq. 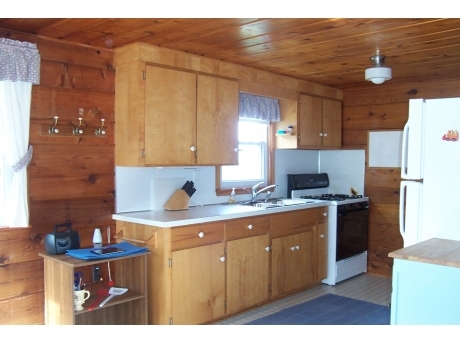 ft. 3 bedroom, 1 bath home on Lake Huron. Private sandy beachfront with wonderful sunsets over the water. 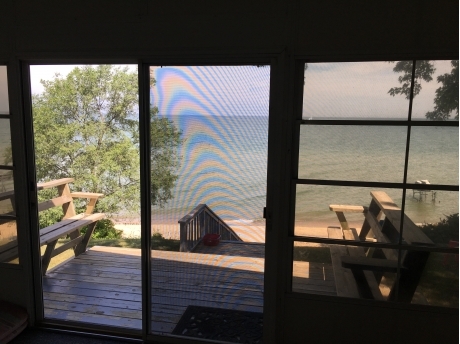 One of the best beach sections and views in all of the Caseville area. Large enclosed porch. Large deck with patio furniture. Fire Pit, Air Conditioning, and BBQ grill. 5602 Port Austin Road approximately 2 miles northeast of Caseville. Fireplace, air conditioning, and 2nd TV in bedroom. 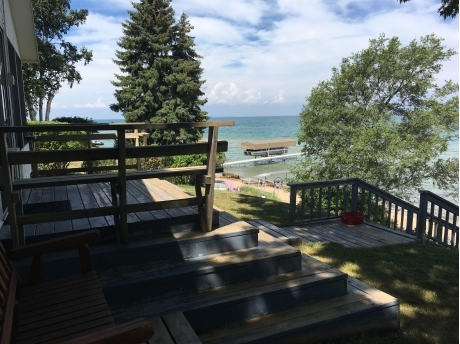 7//6/09 Wonderful home, perfect place to unwind and enjoy the beauty of Lake Huron. 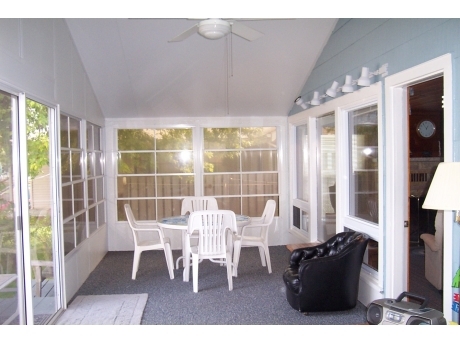 House is very comfortable, the screened porch is fantastic. There is a lower deck near the lake also with a wonderful table to enjoy a meal or just the view. Owner is very nice and the home is kept very clean. Had a terrific vacation there, we hated to leave. I would highly recommend this home to anyone looking for a relaxing, waterfront getaway. The home and property are very clean and very well maintained. And the living conditions are very comfortable; everything you need for a "home away from home" is right there at your fingertips. At any time of day the view from the screened porch or deck is just amazing. And the beach is clean with many friendly passers-by waiving and giving out a "Good Morning" as they take their morning walks. The owners are also very friendly and quick to respond to any questions. We are definately planning on making this home an annual vacation destination. A beautiful vacation home, very clean and cozy. It was so nice being able to walk right down to the beach. The area is very safe and relaxing. Owners are very nice and helpful. We are hoping to come again next year! Great home! Very clean. Right on the water. 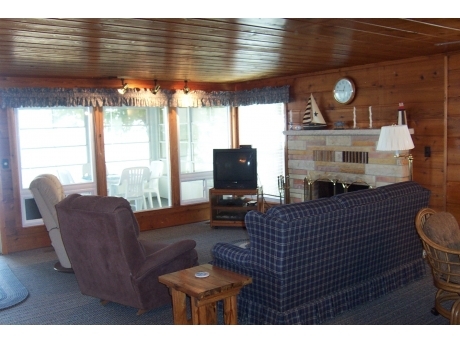 Great feature is a screened porch facing the lake. Spent most of our time in that room. Deck with lots of seating at the beachfront so small children can easily be watched by adults as they play. My boys, ages 2 and 3, absolutely loved it and are itching to go back! So am I! Beautiful, relaxing and owners were very nice and quick to answer questions. Highly recommended!